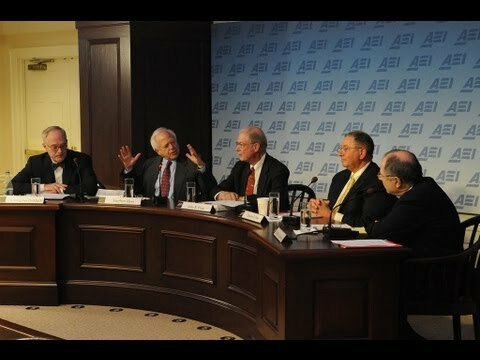 November 10, 2010: Hosted by the American Enterprise Institute in Washington, D.C., the 10th Richard Nixon Legacy Forum discusses the Nixon-era accomplishments of one of the most admired statesmen of the past half century, Pat Moynihan. The panel consisted of Steve Hess, Chris DeMuth, Checker Finn, and John Price, all former members of Moynihan’s White House staff. Steve Weisman, author of ‘Daniel Patrick Moynihan: A Portrait in Letters of an American Visionary,’ moderated this forum on Moynihan’s relationship with President Nixon and the progressive and innovative domestic policy initiatives that they developed together.